iPhone always takes great care of the security of its users. There are various features which are specially designed to provide full security to all users. 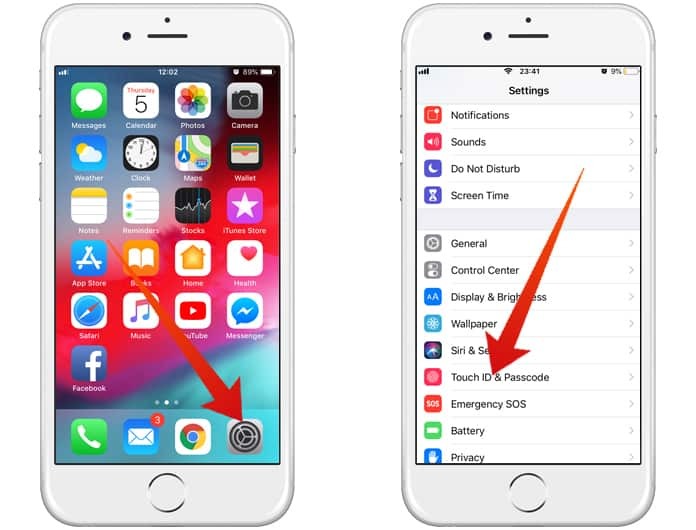 Similar to such features, there is a feature in iOS 11.4.1 & Higher which shows the message ‘Unlock iPhone to Use Accessories’ when you have used your iPhone for more than 1 hour without unlocking it. The purpose of this notification is to ensure your security and eliminate all the chances of illegal access to your iPhone. It also confirms that other departments cannot access your data on your iPhone without your permission. On the other hand, this feature can be annoyed for you when you see it again and again. It can be challenging for you to face this notification various time every day. 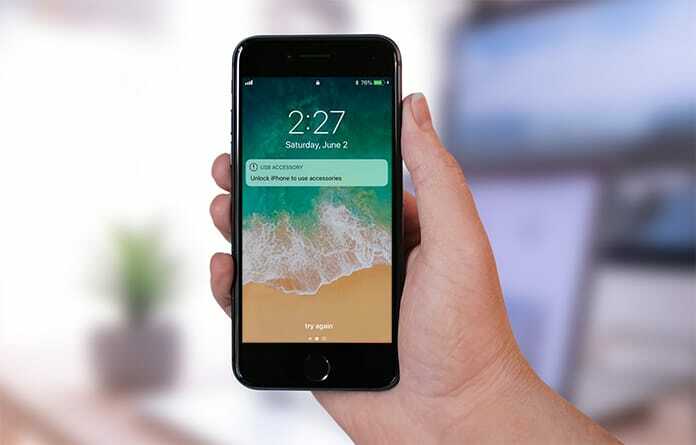 Additionally, you have to unlock your iPhone after each hour while connecting with your computer. That’s why you can consider disabling the ‘Unlock iPhone to Use Accessories’ Notification in iOS 11.4.1 & Higher. We recommend you to disable it only if you are sure about the security of your phone and there is no possibility of unwanted access to your important data. So, in below, you can read the complete process of disabling such hourly notifications. Step 1: First of all, go to Settings of your iPhone. Step 2: Tap “Touch ID & Passcode” or “Face ID & Passcode“. Step 3: Now enter your Passcode in the required field. Step 4: At this step, you need to scroll down, and you will see the option “USB Accessories.” You need to switch it on. You have disabled the notification, and now your iPhone has iOS 11.4’s security settings, which means you have to unlock it only if you have not unlocked it since seven days, to transfer data or charge the device using a data accessory. 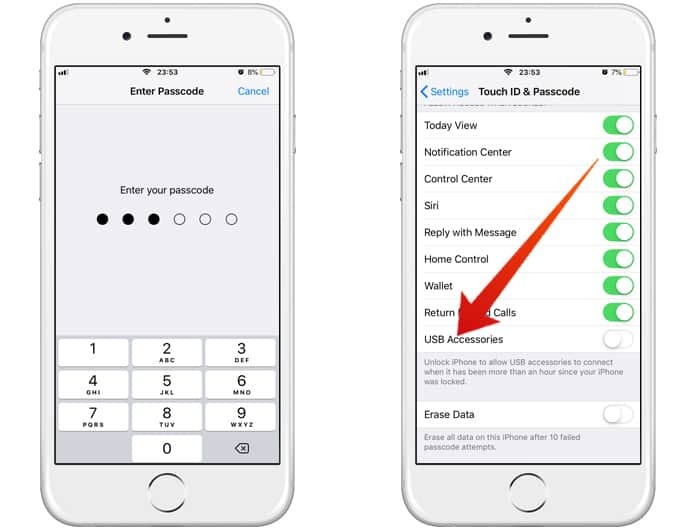 Now there is no need to unlock your iPhone every hour because of the unwanted notifications. However, it may be a security risk for you and your important data available on your iPhone.